Joe has r etired … right up until Big Mac has a job for him to do. One that he can’t refuse. Jeremy suspects that Lisa might be cheating on him and asks Joe to find out for certain. A new client fears that her adult son is being scammed by a ‘gold digger’ and wants Joe to wreck the relationship. A town bully needs to be sorted out. Joe and Mia go dancing at Big Mac’s club. Stevie helps Doc track down a monster. Another romp in Paradise! This book will be available sometime during the weekend following this Valentines Day. Hope the title of this next book isn’t a subtle hint that Joe & Mia are coming to a close….. Thrilled to see another book.on the horizon! I couldn’t imagine saying goodbye to the Clearwater crew.Thank you, Al! 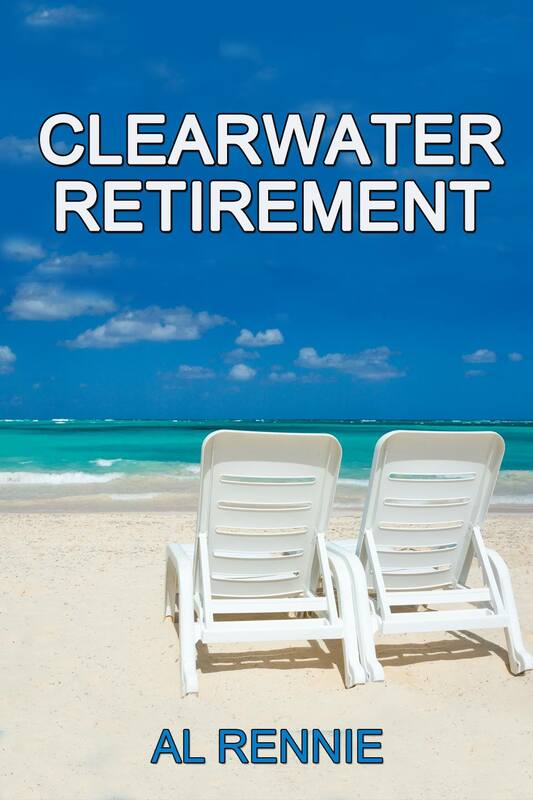 Have read all of the Clearwater series and am glad to see it continue. But health comes first and I hope you’re doing well Al. Take care. Thanks Ed …. I am doing much better. I found out that I get bored when I’m not writing, so I guess until I can’t, I will. You too … stay safe and take care.